The major project of the Belgian rail way at the beginning of 21 century is the construction of a new high-speed railroad from Brussels via Liege and Aachen to Cologne. The major project of the Belgian rail way at the beginning of 21 century is the construction of a new high-speed railroad from Brussels via Liege and Aachen to Cologne. To be able to maintain a velocity of 300 km/h the path of the existing rather curved railroad will not be followed. Unavoidably a tunnel needs to be constructed to pass through some hills on the way from Liege to the plateau de Herve. This tunnel is the Soumagne tunnel. The plateau de Herve contain a very complex Visean-Namurian interface geology with carbon and karst. 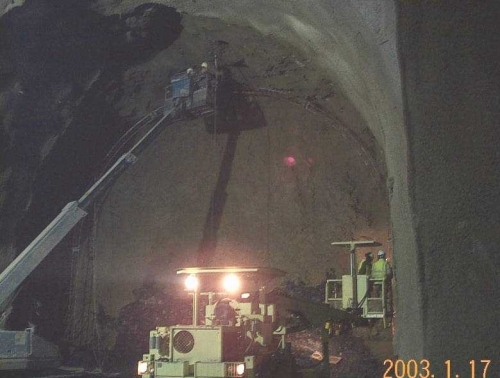 Drilling the tunnel is complex in this zone and necessitate monitoring of the vault displacement. 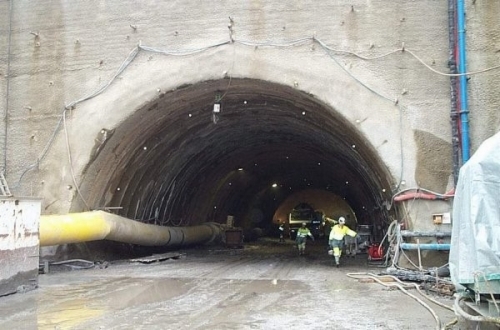 The main aim of the project has been to monitor two tunnel cross-sections with radial and tangential sensor. The tangential senosors with active zone of 1 m provided for average strain monitoring in the tunnel cross-section. The radial sensors were combined in three-points extensometers that measured relative displacement of vaults (convergence) at three different positions of the cross-section, and distirbution of average strain in the soil. 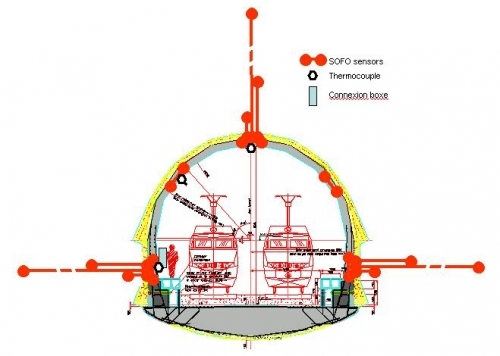 The lengths of SOFO sensors used to form a multi-point extensometer are 1 m, 5m and 10 m. Three thermocouples are also placed in each cross-section in order to determine and separate the strain genrated by temperature variations.